Joining is easy and free. Just perform the initial clean up of a section of road, street or city block and complete the form below. 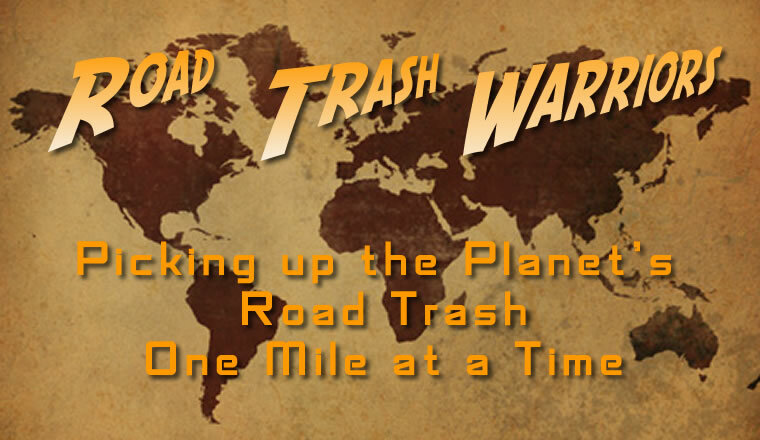 You will be assigned a permanent Road Trash Warrior number. Your number, name, city, town, state, and country will be displayed on the Our Members page. We are asking for your name and city, town, state and country. If you choose to do so you may use a nickname instead of your first and last name. We are also asking for your email address. Your email address will not be displayed but may be used to communicate any future major changes in the charter of the organization if the directors so choose to make them. There will be no solitations. We do, however, reserve the right to run contextual ads on this site should the directors determine that the cost of administration requires additional funding. Beyond these potentialities, we anticipate no need to contact you in the future. We will not sell our email list under any circumstance nor will we allow it to be used by other organizations. OK, Let's sign you up below.